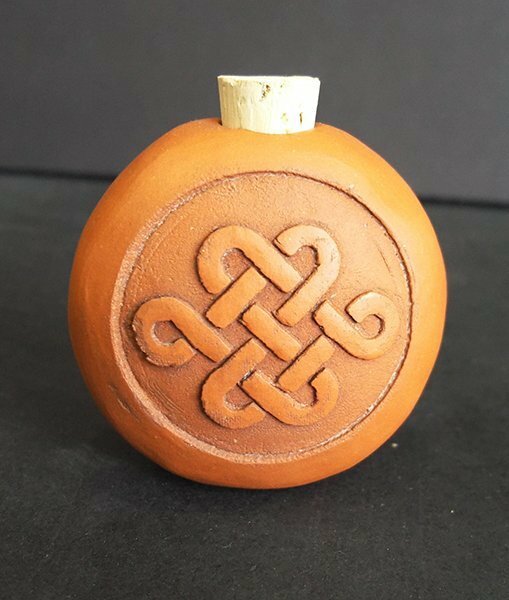 Handmade terracotta clay. Burnished, bisque fired and rubbed with bees wax for smooth luster finish. Embossed with friendship knot pattern. Custom embossing available. Email for inquiries.